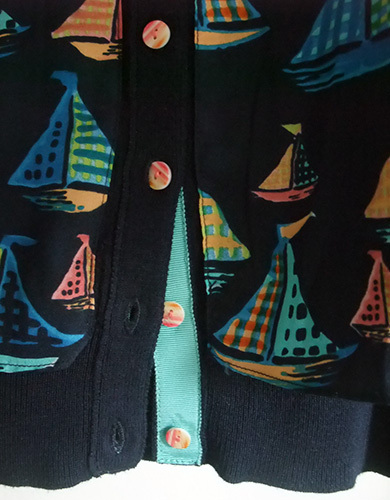 I got a cardigan from Anthropologie in NY. 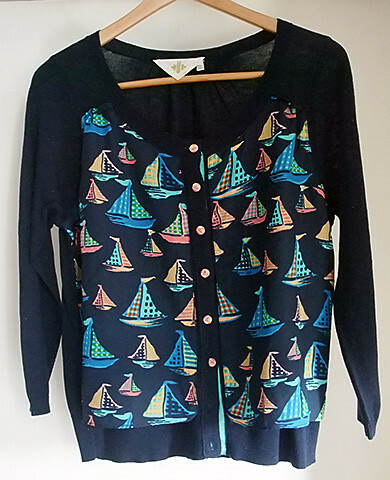 Cute yachts motif scarf-panels were sewn on front of this. I’m looking forward to wearing this on early summer season.